(Part 1 of 2) Dr. Robinson shares his 7 steps to ‘Getting Into The ThyroZone ™……and Staying There’! Have you ever believed you had a low thyroid problem but the blood tests from your regular doctor always come back normal? Have you ever looked at the list of the symptoms of low thyroid and believed you had many of them, but still could not get the blood tests from your regular doctor to confirm it? Maybe you got the diagnosis of low thyroid and got on thyroid medication, and kept telling your doctor you still had the symptoms related to low thyroid, but were told flatly that your labs were normal, and nothing was done about it? Maybe your doctor did do something about it. Maybe your doctor gave you a prescription for any kind of medication to help with your symptoms, just definitely not an increased dose of your thyroid hormone medication? I know these questions are very familiar for many of you reading this right now. 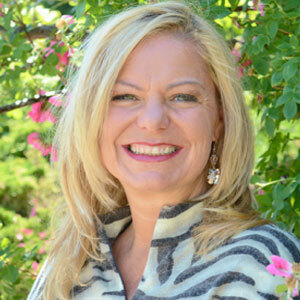 Since 2006, as a Board Certified Naturopathic Medical Doctor, I have been committed to the cause of thyroid disease, making it my goal, my passion, to bring new ideas and natural solutions to a very old problem. What if you could finally get a doctor who listened to you and knew how to effectively diagnosis your thyroid problem and give you answers to feeling better right away? What if you had a doctor who could help you get on the most effective thyroid medication dose despite what a simple blood test says? What if your metabolism soared, your energy sky rocketed, your mood improved, and you could finally start losing weight? What if you could feel better, like you have only imagined, now? One of my major premises with thyroid hormone diagnosis and treatment is boiled down to two main points. One, patients are on the wrong type of thyroid hormone medication (or not at all when they should be) and two, they are not enough of it. If those two issues were addressed in the most optimal way, then most of the suffering related to thyroid problems would be relieved. There is more to the story of course, but those are the two main problems. I have developed a system called ThyroZone ™ that addresses these two main issues with a comprehensive and effective approach that then goes deeper into treating the actual cause of thyroid disease and other related hormone imbalances. The ThyroZone ™ is about answers, real solutions, to the epidemic of thyroid disease and how to really thrive with it. Hypothyroidism (low thyroid) is a common condition, with at least 15% of the US population having the condition. When considering women older than 35, the percentage is much higher. In comparison, hyperthyroidism (high thyroid) is only around 1% of the population. ThyroZone ™ medically treats both, but the focus here will be about low thyroid function or hypothyroidism. The first step is to get the right diagnosis, to know exactly what we are working with. This starts with the proper questions and tools. ThyroZone ™ uses proven and research-driven questionnaires to guide towards a diagnosis of hypothyroidism. These research questionnaire tools are available to doctors but they are usually discarded as unimportant in comparison to blood work. In short, the patient’s experience is ignored or often misdiagnosed. Many readers may have had their thyroid labs checked multiple times by their doctor but were always told your thyroid was “normal.” This is an all too common scenario. This happens for a several reasons. The following is the pattern I have seen over the years and a scenario that plays out like an odd Hitchcock movie…but with a happy ending, if you chose it. Your doctor does not even check your thyroid labs regularly. A physician that is willing to look at measuring your metabolic rate and giving you a classically effective dose of NDT like Armour Thyroid or Nature Throid in the average range of around 2 to 4 grains (120 mg to 240 mg), treat the underlying reasons for your condition such as nutrition and lifestyle, monitor your metabolic rate through advanced testing, balance and optimize all of your other hormones which helps your thyroid, and ultimately, listen to you. It is important to note that patients often never get past part one or two with their doctor and never get the proper diagnosis in the first place. The ThyroZone ™ system makes an accurate, comprehensive diagnosis possible, if there is in fact a thyroid condition in the first place. The ThyroZone ™ system will consider your blood work and seek to optimize the values. But the next step is to measure your metabolic rate and nervous system, two important clinical tools used to determine thyroid function and overall health. The ThyroFlex™ by Nitek™ is a cutting-edge machine that measures your metabolism and thyroid function through the measurement of the speed of your reflex in your wrist. All of your reflexes are associated with thyroid function, something that has been known by doctors for over 100 years. If your reflex is measured to be slow, then your metabolic rate is slow and your thyroid is likely under functioning. If your reflex is fast, then you may have a high functioning thyroid. The Reevue™ machine by Korr™ uses “indirect calorimetry”, measuring the amount of oxygen you consumed, which in turn helps to calculate the exact amount of calories your body is burning and therefore your precise metabolic rate. This type of machine has been used by doctors since the 1940s but, fell out of vogue as doctors became busier and exceedingly reliant on blood tests. If your metabolic rate is found to be very low, and you have the signs and symptoms of low thyroid, then you likely have a low functioning thyroid and need support. 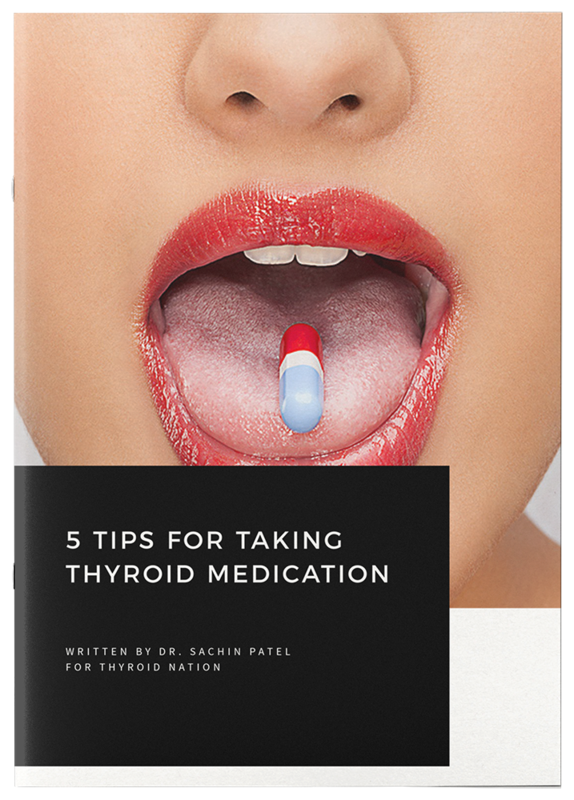 Stay up-to-date, get discounts on products, articles and stories that inspire, on all things thyroid! The adrenal glands are also part of this important hormonal chain. Your adrenal glands are small grape-sized glands that sit on top of your kidneys. They secrete life-supporting adrenaline (epinephrine/norepinephrine) and cortisol, and other hormones like the anti-aging hormone DHEA. The adrenals are responsible for balancing blood sugar, regulating blood pressure, and most importantly, generating a fight or flight response to any perceived threat or stress. One of the most important hormones from the adrenal glands is cortisol. This hormone is intimately related to thyroid function. Cortisol is important for thyroid hormone production and for the conversion of inactive T4 into the active thyroid hormone, T3. However, if cortisol is too high, it will also block thyroid hormone production and literally inactivate T3 into something called Reverse T3, which your body can not use. Due to prolonged stress, whether emotional or physical, the adrenal glands may become dysfunctional and secrete either too much or too little hormone, particularly cortisol. Without proper adrenal balance, it is very challenging to experience the most benefit from your thyroid treatment and your entire health. Stress is the most important aspect of balancing your hormones and your health. Most chronic diseases are stress-induced with adrenal dysfunction included. With stress management in your life, which includes personal habits as well as proper adrenal support, full health can be realized. More on stress management in Step 7, in part 2. Dr. John A. Robinson is a Board Certified Naturopathic Medical Doctor and The Leader in Hormone Replacement Therapy, specializing in Natural Integrative Therapeutics, Endocrinology, Thyroidology, and Mind-Body Medicine. 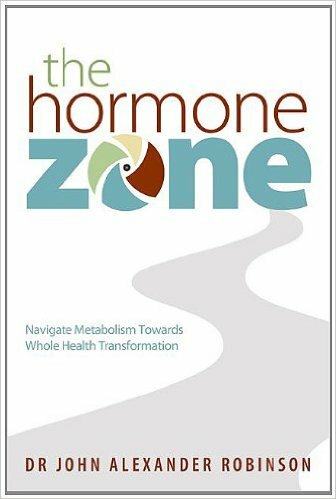 He is the Chief Medical Officer of the medical practice The Hormone Zone, also the title of his book. He has developed a unique and refreshing approach to the treatment of thyroid disease called ThyroZone ™ where patients find real solutions for their thyroid and their metabolism. A book on his unique approach to thyroid health called ThyroZone ™ will be coming out in early 2016. Check out his website, follow him on Facebook and Twitter. 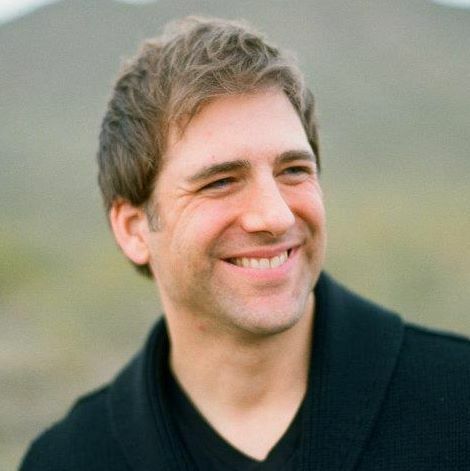 Also, be sure to listen to his interview on Thyroid Nation RADIO’s archives page. 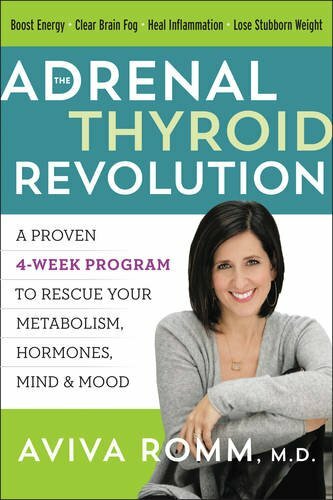 Questions or anything to add about Dr. Robinson’s brilliant program, ThyroZone? We’d love your thoughts in the comments section! Help Thyroid Nation create awareness for thyroid disease by sharing this with friends and family…and get into your thyrozone!